Canada Sportswear is a respected provider of promotional apparel and their 7201 Ladies Full Zip Soft Shell is quite possibly their best Jacket. Offering durable production and materials at an extremely low price is testament to the popularity of this jacket. Add your logo with custom embroidery or heat sealed vinyl imprinting and you have yourself a spring and fall soft shell suitable for any business or sports team. This easy care business shirt is ideal for your sales team and front office workers, it's lightweight and durable for todays busy lifestyles! 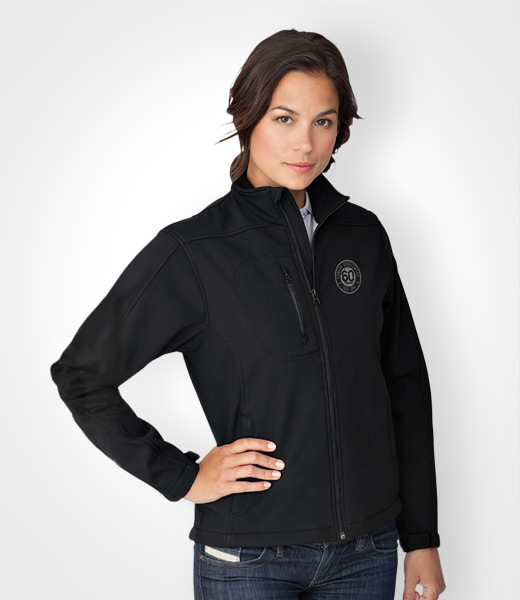 Dress your logo up with corporate wear. Features: Button-Down Shirt Collar • Adjustable one button cuffs with double pleats • Double Pleats at upper back.